When I started some family research I had no idea that my relatives from Cork were all centred on Lower Glanmire Road. In some official documents it’s called Lower Road, as if everyone knows that further qualification is redundant. 19th century maps make this obvious though. Looking at Google earth (for I have never been to Cork –yet) it is clear that the road is a major transport artery. By the same token it’s hard to see how community and neighbourliness could thrive. My great grandfather William C Toomey, aged 23, at number 38, married my great grandmother, Catherine Horgan, aged 19, at 84 Lower Glanmire Road on 15 October 1875, rather than at a church. Catherine had been baptised at St Finbarr’s .They were both living in the road; indeed her father (my great great grandfather) was a publican living at 101 (was there a pub there?) so you presume that they were local sweethearts. Sadly both fathers were dead by this time, 1875. We know that Samuel Francis Horgan, the publican at 101, was married to Catherine Murphy and that they had at least four children. Samuel is recorded in Slater’s Directory as publican at 101 in 1870, but in 1871 Fulton’s Directory shows him at number 84. He was born in 1829 so when he died in 1873 he was a relatively young 44. William C Toomey was born in Dublin, from where his father Denis Tuomey and mother Mary Bergin (and there are three variants to Twomey) came to Cork. William and Katherine, aka Cate, had six children. (One of whom Samuel F was by tradition named after his grandfather). Number 38 was rented from station master M.I. O’Callaghan and as the children were born at 35, 36 and 39 Lower Road I wonder if they shunted between rental properties owned by Mr O’Callaghan or the railways? Jane Crowley was an illiterate midwife for at least two births and presumably many Lower Road inhabitants came into the world with her care. William worked on the railways. He was a clerk in 1879/80 but was an “Auditor” in 1881.Jane did not limit herself to motherhood. In 1875 she is recorded as Mrs C Horgan vintner and in 1881 and 1884 Directories as publican. She died in 1905 aged 49 and obviously had a hard life. One wonders why a woman took over the business. Was it because of the absence of a suitable older brother as the custom of the time might have demanded? Katherine was probably the oldest child. William and Catherine were living at 47 Lower Glanmire Road at the 1901 census (North East Ward) with six children. He is still a Railway Auditor in 1901. Son Denis, my grandfather, worked for the railways all his life and was a clerk, aged 20, in 1901. By 1911 all six kids have flown the coop except Frances Toomey aged 20 who is living with her widowed father at number 47 ( now Cork no 3 Urban ward). Denis’ and his Mallow- raised wife Hannah Roche moved where the railways sent them from Cork to Waterford and Dublin and other places I cannot identify. Denis was an “Auditor “ too by the time of his marriage in 1906 ,still based in Cork, and the couple were fortunate that both Dads were alive, even if Catherine Roche had died the year before. In 1914 Denis Toomey was a railway agent. 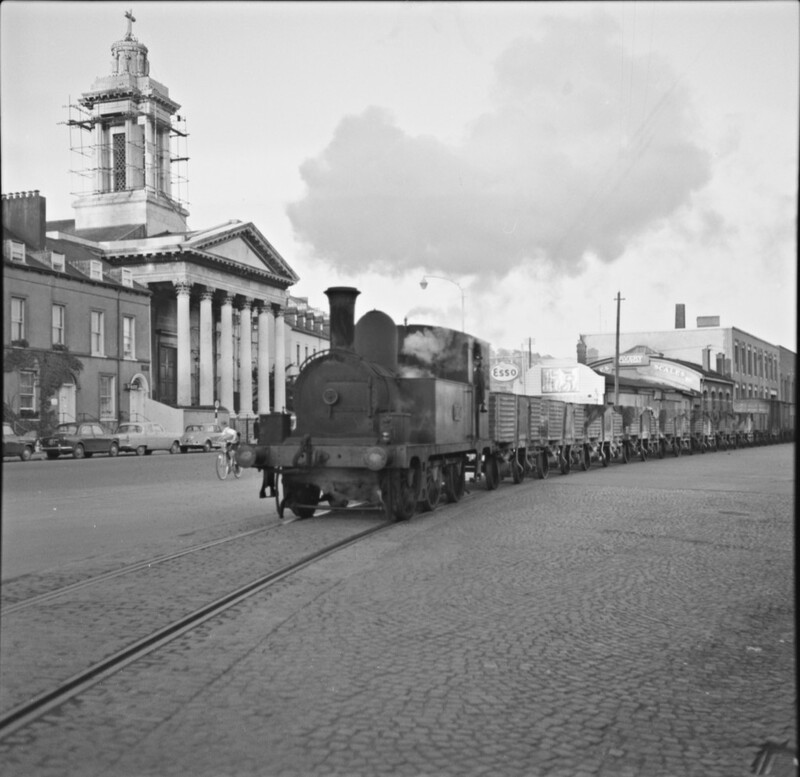 In 1935 he is listed in Guy’s Cork almanac as an agent for the London ,Midland and Scottish Railways, based at 118 St Patrick’s Street. This was not so far from Lower Glanmire Road but I don’t know if he still lived there. One of Denis Toomey’s sons, Denis also worked on the railways and another, the eldest son, kept the names of his grandfather William C Toomey. The bare records provoke lots of questions. What was life like on this crowded and busy thoroughfare in an industrialised part of town? Was it inevitable that William C started on the railways with Kent station nearby? Was he working for the famous GS & WR with its local terminus? Where were the Horgan/Toomeys buried if they were Catholics living at Lower Glanmire Road? William C died in 1922. I cannot find Catherine on the on-line records for a likely place, St Joseph’s cemetery. And finally, isn’t it about time I went to Cork? I was growing up there. Everybody knew everybody from the Coliseum to what we used to call ‘The Radio School’. Going up or down the road to mass in St. Patrick’s or to school you always met someone to say hello to, to walk with or to talk to. Michael (Dorrie) and Helen (Nellie) and children, Mary, Patrick, Frances, Michael and Helen. Daddy worked in Dunlops and cycled to work every morning, having first attended Mass at St. Mary’s on Pope’s Quay. We never had a car in those days when we were growing up and Daddy often brought each one of us in turn to Mass on the cross-bar of his bike. Before she was married, Mammy worked in the Colisuem and in a photographer’s sop near Lawson’s on MacCurtain St. After her marriage, Mammy stayed at home to bring up her family and in her spare time she attended her garden, especially her roses which she loved. Our Grannie and Grandad, Frances and Patrick Kiely with their daugther Kathleen lived in No. 6 Rockgrove Square and our aunt and cousin, Frances and Colm Downing lived in No. 5 Rockgrove Square. The other inhabitants of Rockgrove Square were the Coogan family, the Rynas, Pidge Mulcahy and Bobby Brown, the Warner family, Mrs. McCabe, and the Maher family. Rockgrove Square or ‘The Sqaure’ as we lovingly called it was a very happy place to live when we were growing up. The doors of our houses always had the keys left in them and neighbours were always calling in. There was a great spirit of community there, as there always was, on the whole of the Lower Road. sunny summer days up the quay by the river to the baths by the City Hall – meeting the railway men on the way and getting lumps of chocolatecrumb – the taste of which I can still almost feel today. We often waited for the No. 11 bus at the Square gate – looking down the river admiring the Marina and Blackrock Castle on the other side, until the bus came around Tivoli Bridge. The boys of the Lower Road had great fun over in the Strand when a sort of a festival was held there around the time of the Cork City Regatta -they were always falling from greasy poles and swimming in the river. The whole of the Lower Road was so proud of our entry in the Cork City Regatta each year – our great and lovely boat ‘The Eileen Elena’. We would all gather together to see her being carried from the Club and being put on the river and we would sing that beautiful song we all knew – ‘Come home Eileen Elena’ – we were so proud of her. One of the highlights of our summers was going to ‘The Park’ in the rowing boats to watch Cork playing in hurling matches and getting a bar of chocolate from Mrs. Joyce – for free!! 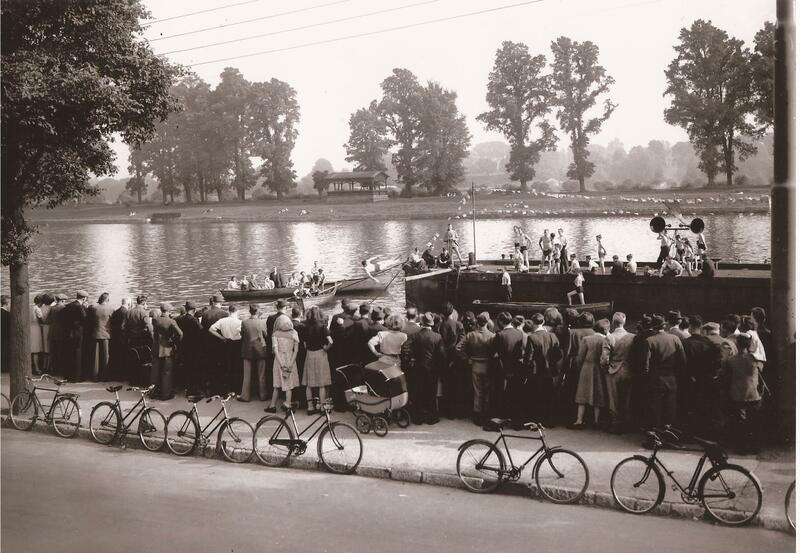 On long summer days we often walked to ‘The Scheme’ and had picnics, which consisted of bread and jam and bottles of water and of course our comics to read, by the river at Tivoli. When we got older, my friends and I still walked to the Scheme each Sunday after Mass. Anybody going to England onthe Innisfalln was sure of a wonderful send-off. On hearing the ship blowing up the Quay, everybody would run up to Water Street to see her passing down the river there and then everybody would run doen the slip – to wave tea=towels and hankies at those travelling on her, and what a beautiful sight it was returning to Cork on the Innisfallen – coming up the river to Horgan’s Wharf. Everything was held in the Quarry inthe summertime. Rounders, cricket, cowboys and indians, fancy dress events and our mothers used the Quarry all year round to hang out the family laundry to dry on lines that were there for that purpose. The Quarry had all its very own features – a beautiful natural well with icy cold water flowing from it, even in summertime, ‘Top Rock’, a rock called ‘Red riding Hood’ and a Black Hole in which we were told our Grandmother buried one of her goats! 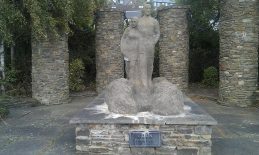 The Quarry was used as a place of prayer, to guard the children of the Lower Road the year the polio epidemic hit Cork City. The lane-way that went all around the back of our houses was known as just that, The Back Lane. In the summertime, steering cars with their wheels made from ball bearings could be heard all day going down the little incline of the lane onto the street by Hyde’s corner. 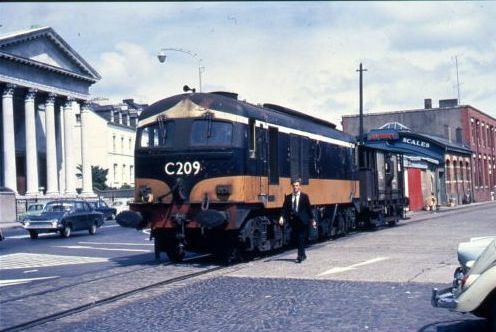 The railway line to Youghal and Cobh ran parallel to part of the back lane and any friends or neighbours going to Youghal on the train would be sent off by lots of people waving at them from the Back Lane. Rockgrove Square was directly across the road from the Cork Harbour Commissioners and even though a lot of the men working there came from different parts of the city we knew most of them to say hello to. This was due to lots of them standing outside the building during their lunch break when we would be going and coming from school or work and they saluted everyone that passed by. One room inthe building was always used by the people from the Lower Road when it came to voting in General Elections and this same room was used by the women of the Lower Road when they held ‘nights’ to raise money for charities, etc. During the summer when we were young, the girls of the Lower Road had ‘crushes’ on many of the men who drove the petrol lorries up and down the road to the depots at Tivoli – we would sit on Beale’s Hill wall and wait for the lorries to pass just to wave at the drivers, knowing all the particular registrations of their trucks. The boys of the Lower Road were introduced to snooker in a place called ‘The Dive’ in Water Street. Many a night we were sent there to beg them to come home for their tea! My father, a typical droll West Cork man came to the City with one of his brothers around the 1930s. They got a job fairly quickly on the trams, my father as a conductor and my uncle as a driver. They were happy enough at this job but the pay not being great, they decided that in their off time they would put some of the skills they had learned back in West Cork to good use. So they rented a shed out in Blackpool near the old distillery. They figured that this was the ideal location for their new project as the aroma from the distillery would be more than enough to cover up the sweet smell from their entrepreneurial effort. So they proceeded to make that famous and illicit West Cork brew “Poteen.” Business went very well for awhile and it showed a good profit. There was no publicity as such, only word of mouth from one satisfied customer to another. Things went very well for about three months, however nothing lasts forever and a good friend and customer of his, a sergeant in the guards, tipped him off about a possible raid, and he flew the coop. In one night they cleared out the shed and sold off all the equipment to a farmer in the Sheehy Mountain area of West Cork. If the Gardaí ever did raid the shed they never bothered to find out. He then gave up the trams and bought a horse and a covered in cart, and started his own country bread round. 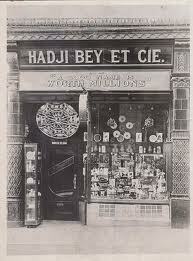 He sold bread, flour, groceries, the daily newspaper, and other household commodities. From the farmers he would buy butter and eggs or rabbits, and sell them to the city stores the following morning. Sometimes in Glanmire he would buy a Salmon which would have been poached in the nearby Glashaboy River. This would have been another thing the authorities would be interested in. At that time people didn’t have a lot of money and some found it very hard to pay for their weekly necessities. Again deals were made, and payments for his services were often made in kind. I remember when he arrived home with a calf, another time two Bonham’s, a pair of kid goats, four ducklings, a brace of pheasants. These are only some of the things that ended up in our home on Quaker Road. All these were payment in kind for services rendered. He being a man from the west, and as far as he was concerned, the odd trade in barter was fine. And he gave her another £3.oo worth of groceries on credit. She went back in home praising the Lord, and drawing down the blessings of all the Angels and saints in Heaven on my father. My father, who was in his own way a very religious man, I’m sure would much rather if she had given him a few bob off her bill. On the next night he called as the horse stopped outside her door, she was out like a shot rubbing the tears from her eyes with her apron, she exclaimed. 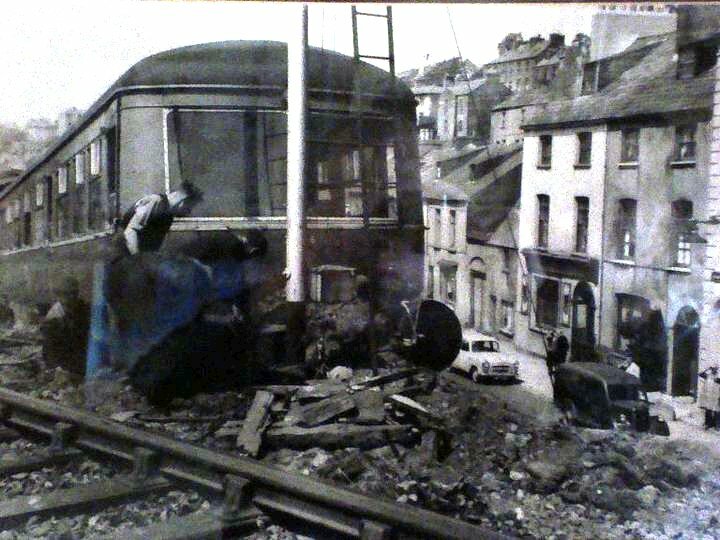 This was the time the steam trains used to run from Cork to Cobh and Youghal, and from the station they would run over the bridge that crossed the main road, and then run parallel with the Lower Glanmire Road. I think my father felt that for entertainment value alone she was worth the risk until next week. And here’s another picture I came across, not a steam train but observe the contrast in each picture which must be only a few short years apart. The No. 158 heading to Kent Station via Alfred St.
Quick, get it back on the lines! No. 184 coming out of the station on Railway St. In the Sping of 1946, not long after my fourth birthday, I started school. Pat Fox, who was six months older than me, lived next door in Clehane’s Cottages, and at that time children were packed off to school as and when they were deemed ready. Pat had started in January so he had all the qualifications needed to take me up to St. Patrick’s school in St. Luke’s cross. As we walked up O’Mahony’s Avenue Pat rattled off all the words he could spell for all I knew he could have spelt everything wrong as I hadn’t a clue, but my admiration for him knew no bounds. So brainy I thought. When we arrived at the school the teacher wasn’t there so Pat showed me around. To the front there was one classroom and behind there was a much bigger room. Three classes were catered for here. It looked like a concert hall with, what seemed to resemble part of The God’s in the opera house at the back. What a great place I thought. We went bacl to the front classroom where Pat showed me how to swing by leaning on my hands on two desks. This was much better than I had thought. However the teacher wasn’t long putting a stop to that activity. Days turned into weeks, Pat and I continued to go to school and we remianedfirm friends. However that would change as the first week of our Summer holidays passed, a new boy came on the scene. Maichael Baldwen came to stay with his grandmother who lived in the house at the end of Castle View Terrace steps, just under the bridge. Word spread fast about this new boy on the scene. He was five and the proud possessor of the most beautiful three wheeler red bike that I had ever seen. As if that wasn’t enough he also had a blue pedal car. Like a Disney character love hearts were popping out of my eyes. Michael’s grandmother would take the two of us up Water Sreet, around by the Coliseum and back down the Lower Road everyday. I sat proudly on either the bike or the car. This was the life! Now around that time The Forge,, which was overlooked by Nelson’s Terrace, was taken over by a man who had a seven year old son. The Forge was a wonderland whose joys I had never tasted because the gate was too high for me to climb over. But my brother Richard had told me of all the gadgets and the machine for making the blocks out of saw dust. I passed The Forge everyday on my was to Michael, so I couldn’t belive my eyes when I saw the big gate open, I peeped in. Richard was right, this place was a wonderland, stuff everywhere. I didn’t need a second invitation to looka round. Time flew and before I knew where it went my mother called me, it was time to go home and I still hadn’t investigated even half the place. The following morning my legs couldn’t get me fast enough to The Forge. 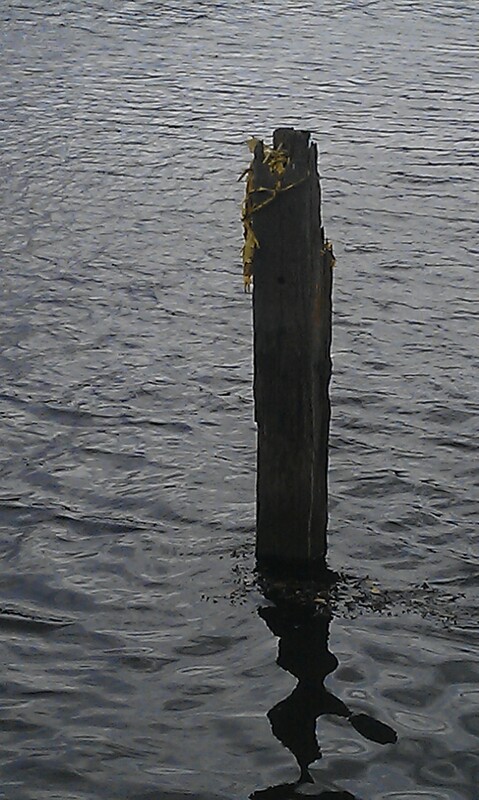 This time The Forge boy had a rope tied to the ESB pole at the edge of the footpath. He offered me a swing but I was afriad to swing out onto the road. Then I remebered Michael and the three wheeled bike. I ran towards his grandmother’s house, as I was within reach of it horror! There, just at the corner of Water Street I saw a bike and the car, both were moving. Somebody else had taken my place. I called out his name and his grandmother turned around. “Go back to where you were yesterday”, she told me. I couldn’t believe it. As the beloved bike and pedal car disappeared up Water Street I sat on the steps outside Roycrofts shop and felt very sorry for myself. After about five minutes, which seemed to me an appropiate mourning time, I dusted myself off and made my way back up the road to where The Forge Here was happily swinging around the ESB pole. This time I accepted his offer to try the swing. On the outward swing my knees made contact with the pole and although the pain was almost as bad as the pain in my heart, when I saw the beloved car and bike disappear up Water Street, I didn’t let him know. By the time I went home that day I was the proud owner of two black and blue knees and from the swing back to the footpath, a lump on the back of my head, which my mother told me would be better before I was married. This, the Summer passed. Pat and I renewed our friendship and we spent our time playing up the lane where we lived and visiting The Forge, Michael also returned and shared his toys with us. Just before the school holidays were over, Pat Fox and his family moved to England where his father had got a job. Michael retuened to his parents. Sometime later The Forge closed, a garage now stands where The Forge used to be. To Pat, Michael and the Boy from The Forge, wherever life has taken you I hope it has treated you well. Thanks for the memories. In the early 19th. Century, the shipbuilding yards on the Lower Glanmire Road (within St. Patrick’s Parish) were the most important in the country. 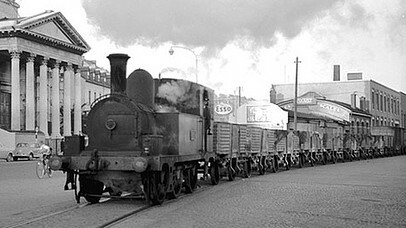 By 1840, both Cork and Waterford were the pioneers of iron shipbuilding in Ireland. Vessels of up to 500 tonnes could be repaired in both of Cork’s shipbuilding yards. 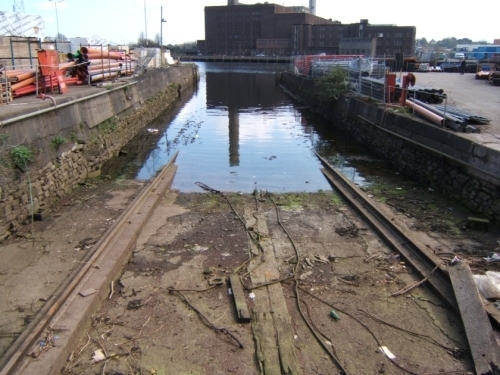 Prominent names in Cork’s shipbuilding industry are Leaky and Beale, the Pike Family, Joseph Wheeler, and George Robinson, the industry provided employment for 1600 men. The Pike Family was the main contributer to the shipbuilding industry in Cork. 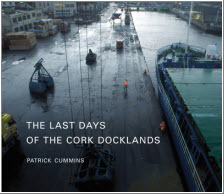 Their company was known as the Cork Steam Packet Company and had it’s main offices at Penrose Quay. 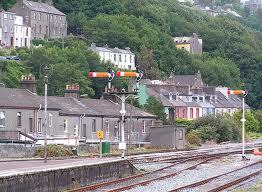 Steamships were built and launched from their Water St. (off Lower Glanmire Road) yard. The most significant family member in the shipbuilding business was Ebeneezer Pike. In 1871, the Cork Steam Packet Company was separated into continental and home line companies. The home line was known as the City of Cork Steam Packet Company Limited, while the continental line was known as the Cork Steamship Company. Between 1848 and 1860, the following steamers were built by Mr. Pike at his Water Street yard, ‘Gannet’, ‘Cormorant’, ‘Falcon’, ‘Dado’, ‘Osprey’, ‘Bittern’ and the ‘Ibis’. All were Single Screw Steamers with the exception of the ‘Osprey’ which was a Paddle Steamer. It is quite clear that with this level and type of industry, the introduction of adult and night classes at St. Patrick’s School with such subjects as shipbuilding, boilermaking, rivetmaking and carpentry would have been of distinct advantage to the Shipbuilding Industry within St. Patrick’s Parish. It was also about at this time that Sherman Crawford Municipal Institute began taking an interest in Maritime Education. It is to be assumed (for further research) that the beautiful and intriging ‘walkway’, some 500 metres or so, east of Water Street and leading from Lower Glanmire Road to Lovers Walk, known as ‘Beale’s Hill’, was name after the industialist Mr. Beale, mentioned above. Joseph Wheeler began building and repairing ships in the early 19th century using derricks and slips on the Brickfield slobs off the Strand Road, Cork. By 1829 he had moved to a yard on the Lower Glanmire Road where he built a patent slip. In the 1850s he moved again, this time to a purpose built yard at Rushbrooke that was built around a large drydock designed by Sir John Rennie the Younger. While at the Lower Gleanmire Road yard, Wheeler built a number of wooden ships including his largest, the 500-ton Mary Hardy. 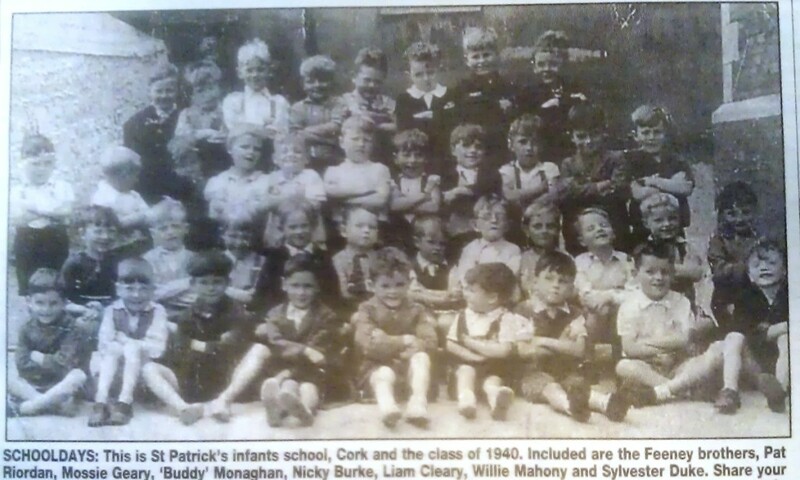 St. Patrick’s School, the Founding and Early Years. Today we take for granted the availability of primary education for all, but up to the early part of the last century schools were few and far between. However, even before the passing of the National Education Act of 1831, primary schooling was being provided in the St. Patrick’s Area. On October 8th. 1822, Brickfields Male and Female Free School began operating in the upper storey of two adjoining houses in Lower Glanmire Road. A yearly rent of £11.13.6 was paid to the owners who continued to live in the ground floors. The income required to run the school was provided from the proceeds of an annual charity sermon, which averaged £15, and from subscriptions, which averaged £10 annually. Tuition was provided free of charge. 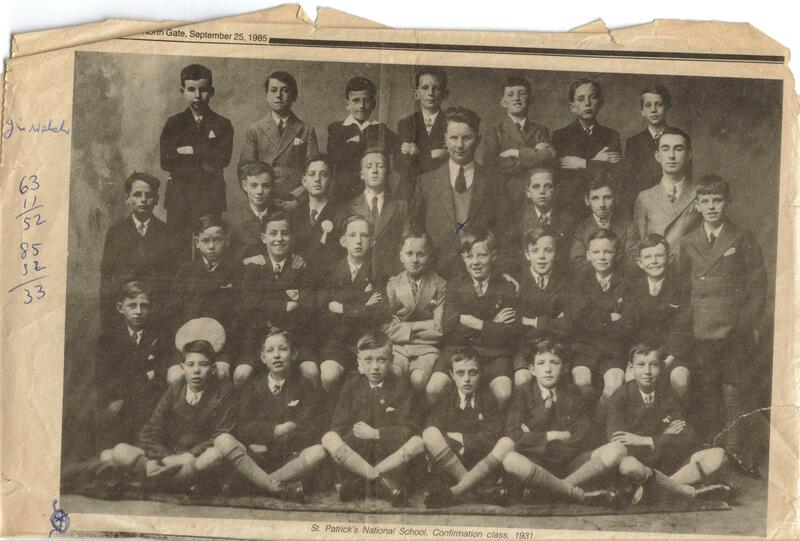 St. Patrick’s School opened to pupils for the first time on 13th September 1841. It’s location at St. Luke’s Cross was described by it’s first manager, Rev. Patrick William Coffey, as ‘the most central of St. Patrick’s district and approachable by six roads which meet at this point.’ Fr. Coffey, in his letter of 20th. September 1841, applying for aid towards the payment of teachers’ saleries and supply of books, informed the Commissioners of National Education that ‘the educational wants of the poor in the district of St. Patrick’s in the parishes of S.S. Mary and Anne Shandon in the eastern suburbs of the city of Cork induced the clergy and laity of the parishes to confer on this important subject two years back.’ The Brickfields School, he told them, had been found ‘inadequate and incommodious for the growing numbers of the poor.’ The site for St. Patrick’s School he described as having 100 feet frontage and 150 feet depth. He added that ‘a substantial schoolhouse’ had been built by the contributions of the local clergy and laity. He had the satisfaction, he said ‘of numbering several Protestants benefactors’ among the contributers. The school building he describes as containing ‘for males the lower room running along the entire length of the building, and it’s dimensions are 45 feet in length, 30 feet in width and 17 feet in height, each side being lighted by four metal sashed windows and the room ventilated from the top. An upper room for females corresponds to the lower in dimensions and arrangements, and is accessible (by reason of the inclined site of the ground) from the road in the opposite direction by which the male or lower school is entered’. The male school was furnished with ’20 new forms with fixed desks, ten feet long each, and the female school with 15 new forms with fixed desks of like length’. Each room had ‘one large frame 8 feet high supporting a thin blackboard four feet square, hung on weighty pulleys and used for public diagrams, one raised bench containing a desk’, lockers for the teachers and also for holding the school register ‘under key’. There were two grates ‘in which fires are kept in the winter’. The patrons, he said, were anxious to open the school immediately, and therefore had borrowed one hundred pounds from the bank ‘to carry out the original work of surrounding the school ground with a wall and to furnish the schools with benches and forms. The Commissioners were informed that ‘after public notice, Mr Michael O’Mahony, aged 27 years (who had taught at Brickfield School) was appointed to teach the male school and Mrs. Ellen Kennedy, aged 30 years, to teach the female school’. There was an average of 300 pupils enrolled in the schools during the early months, 174 boys and 126 girls. The scholars paid 1d per month although, on the manager’s instructions, approximately 100 pupils were admitted free of charge. School hours were from 9.30 a.m. to 3.30 p.m. and ‘a portion of Monday for religious instruction’. Religious instruction was also provided on Sunday by Fr. Coffey or another priest if he was not available. The school according to Fr. Coffey, was ‘open to every visitor who shall be at liberty to enter remarks on the book kept for the purpose, provided the presence of visitors interferes not with the order or application of children or teachers’. The manager visited the school frequently, ‘some weeks thrice, at other periods once a fortnight, never I believe less’. For the next twenty years, despite the depression of the Famine and its aftermath, the school developed and expanded. By 1863 extra building and reorganisation became necessary. St. Patrick’s Infants’ School was opened on June 1st. of that year in a schoolroom adjoining the male and female school. It was erected with funds left by the late J. Murphy Esq. of Clifton, Montenotte. Bridget Conner (18 years), who had been assistant teacher in Sunday’s Well, was appointed as first teacher in charge. There were 34 boys and 51 girls enrolled on opening day, the pupils had come mainly from the existing Boys’ and Girls’ Schools. Numbers increased quite dramatically for within ten years there were 300 pupils attending the Infants’ School alone. The need for adult education must have been felt in the district at the time for, on February 3rd 1886, on application of Rev. John Canon Browne (school manager), an evening school was opened in St. Patrick’s Male School. It was in operation from Monday to Thursday of each week from 7.00 p.m. to 9.00 p.m. during the entire year. It was conducted by Thaddeus O’Conner who was also master of the day school. Reading, writing, arithmetric and geometry were taught. The National School books were in use as well as the Christian Brothers’ Arithmetric. Seventy seven names were on the books (all male) of whom thirty were present when the school was visited by J. Sillic, District Inspector of the Board of Education. He recommended the application, commenting that the evening school was required in the locality and noted that the schoolroom had been lit by gas. Four of the students enrolled were also pupils of the day school, fourteen of them were adults average of nineteen and a half years of age, all of them were employed in the locality. Their occupations are described as* shipbuilding, boilermaking, rivetmaking and carpentry. 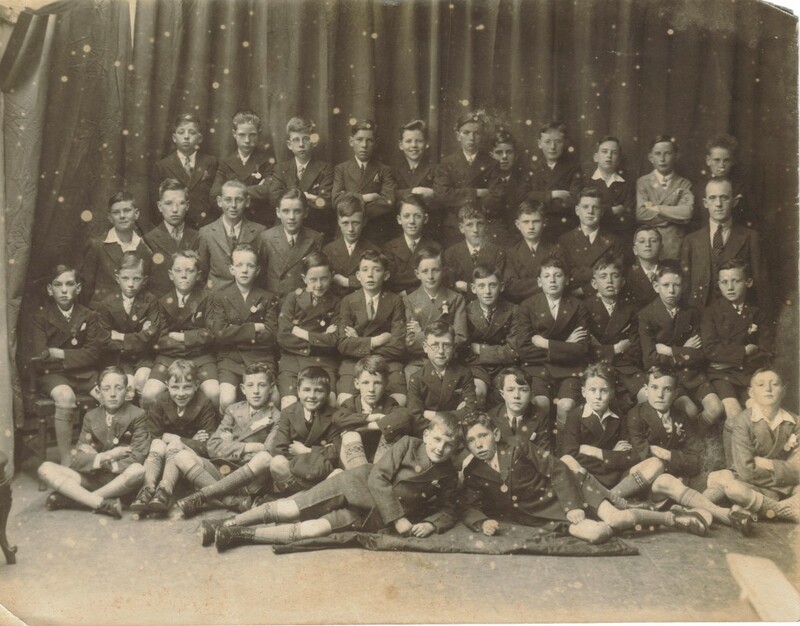 The evening school has not survived but otherwise, apart from a change in location, the Infants’ Girls and Boys’ Schools continue to this day. In the early 1900’s the ‘Spillane’ family ran a grocers shop at 116 Lower Road, and they lived over the shop. They were a large family. Some of them went to America. In the time of the troubles it would have been known as a safe house.During the 1914-18 war one of the sons built an ‘air-raid shelter’ in the garden. The eldest of the family was Nell. she lived all her life at 116. She was a single lady. A brother of hers fell out of the bedroom window on the second floor, due to his severe head injuries he had to have a plate fitted in his head. He spent a few years in America but had to return as the heat effected his head. When the Spillane family retired from the grocery business, sometime in the 1940’s the premises became a ‘Ladies and Gentlemen’s hairdressers shop. It was run by Billy Donovan and he employed my father David Rea. The men’s hair was cut in the front room while the room behind was for the ladies. Here ladies had their hair cut, permed and dyed and even wigs were made on the premises. Billy and Dave worked very long hours particularly at the weekends. Billy Donovan and his wife Johanna lived at ‘Clehane Cottages’. They had two children, Richard and Margaret. After Billy’s death Dave ran the business on his own and the ladies side of the business ceased. David and Margaret Rea and their two children came to live at 117 Lower Road around 1946. While living on the Lower Road, John, Anne and Michael were born. So in the mid 1950s the family moved into 116. It was then that I got to know Nell Spillane, at this stage she was old and frail. After school, I would make her tea and get the grocery times for her. She was an eccentric lady and got what she wanted simply because no one would cross her. She got her daily itmes in ‘Neiland’s’ post office. She liked a special loaf called ‘Milk Loaf’. 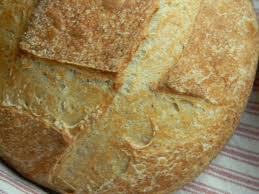 One day I was sent to collect this ‘Milk loaf’ the shop keeper forgot to put the bread away for her but did not leave themselves short, and I was given a different type of bread. Well Nell was furious. She threw a coat around her shoulders and to a quick time step she marched into the shop and obviously gave a piece of her mind to them and arrived back home with a milk loaf. Friday was pension day, Nell’s treat of the week was a half ounce of snuff purchased from ‘Joe Manning’. Nell had a fear of hospitals, so my mother looked after her until her death in October 1956. It was the norm to support one shop, one did not walk out of one and into the next. There were many grocery shops on the road, and each was able to make a living. We had McCoys, famous for a good bargain in ice-cream, Tom Coughlan had a butchers shop near Bassett’s Lane, The Co-Op, Caseys, Linehans for sweets, a vegetable store next door, further on the Post Office, also known as Murays/Neilands, Twomeys ran by two sisters Miss Twomey and Mrs. Mac until they retired in the mid 1950s. Mrs. Mac never smiled but had a wicked sense of humour. One day she gave the messenger boy a half crown to take the cat to the animals home. Everyhing was fine, until a week later, when he arrived into work one morning, Mrs. Mac was waiting for him with her fore finger crooked, indicating he should follow her out into the backyard, and there was the cat sittign on the wall. She wanted no explanations, just take the cat to the Animal’s home. The messenger boy made sure the cat stayed at the bottom of the Lee on the second trip. For a short while a Mr. McGregor had a place and it was then sold to ‘George Jackson’. George was a very nice man, and we can thank him for bringing his niece Patsy Meaney to us. Patsy stayed for the long haul, got married to Tim Crowley and reared her family on the Lower Road. We also got to know her parents and sister Mary. Now to continue with the shops, next door but one, we had ‘Mannings’ grocery shop, then the butcher Michael Ryan and his wife Kathleen. Around this time, just around the corner and up the lane we had the shoemaker Mr. O’Keeffe. The newsagents ran by the Dunnes and later continued by Ms. O’Callaghan. Further down there was Eddie Stanley for vegetables and his brother had a little shop too. Eddie was also a Peace Commissioner and lastly Roycrofts. All these shops were above the bridge. There were oodles of pubs and a billard room. Kate and Danny Meaney lived at 118. At one time they sold coal, I don’t remember that, but their next venture was ‘pigs’ which were fed onthe left overs or ‘slops’ gathered from the neighbours, an early form of recycling. I can remember the squealing animals being taken away for slaughter. I think most of my generation will remember ‘Nellie’ (Beattie/Kerins) for the comics. The childen of the area brought their comics to Nellie, and she in turn gave out on loan someone else’s comic and thus I believe she ran the first swop shop in Cork. Those comics were the bane of my mother – she called them ‘penny dreadfuls’ because we did not do our school homework if comics were at hand. Nellie and her husband John Kerins bred Alsatian dogs. The main guesthouse was “Herlihy’s” known as ‘Cheney House’ because of the shinning tiles that surrounded the door. The Lower Road was a hive of industry in the 1950s and most of the employment was given by the Harbour Commissioners, C.I.E. 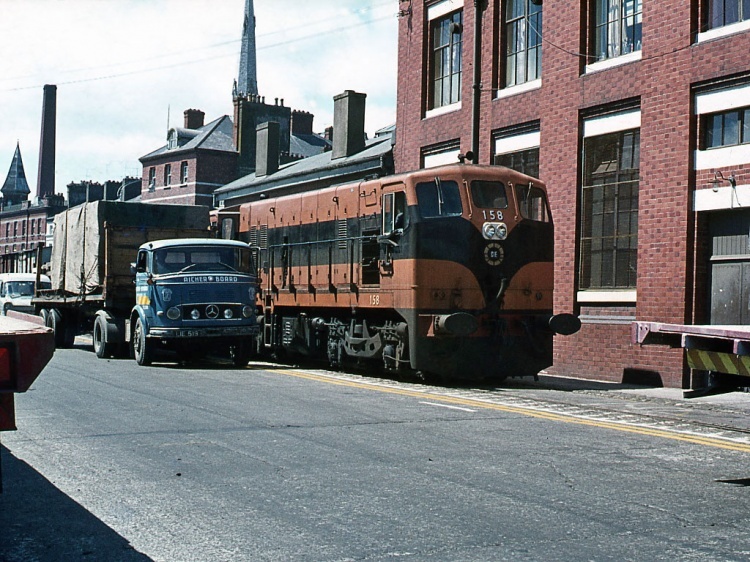 known as ‘The Railway’, Barry’s Timber and in later years The Dockyard. Most of the workers travelled to work either on bicycle or walked. In those years, the live cattle for export were driven down the Lower Road and up Water Street to be loaded onto ships or ‘cattle boats’ as they were called locally. I believe one time a bull went beserk because somehow acid got into his eye. That unfortunate incident made the residents on the road nervous, when a herd of cattle appeared on the scene and children were called closer to their front door. The majority of the children on the road went to St. Patrick’s School N.S. at St. Luke’s Cross. We all walked both ways twice a day in all elements of weather. Most of us children played on the road. We had games for the girls, pickie, skipping, throwing two balls againstt he wall to some rhyme or other, spinning tops, scraps and of course dolls & prams. 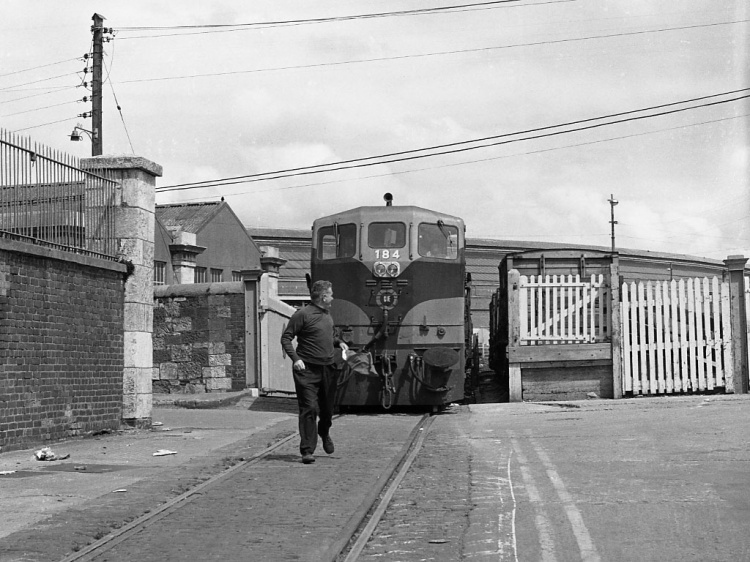 The boys played hurling and football, mostly in the old railway line up Grattan Hill. One had to be able to climb onto the wall, and jump down, this kept the smaller boys out. The chestneu season brought ‘chessies’ and then marbles and glass alleys. The fashion was practical and sensible. In Summer cotton dresses, rubber dollys while the boys had short pants and dollys. In Winter we all had good warm coats with socks to the knee and sturdy shoes plus wellington boots. I can also remember the bread from the bakeries arriving by a horse drawn van, another occasion I was fascinated by the black carriage with windows and the black horses with their bridles polished and looking very elegant. I did not understand death or why the relatives of the deceased were so demur and silent. The chocolate crumb was a delightful era, while the bags of crumb were being discharged fromthe ship, occasionally a bag would break. In Winter time, most children wore berets, se we would throw the beret/hat down to the docker and in turn we’d get a quantity of chocolate crumb. This could be chewed, but it was nicer when made into a drink with boiling water and sugar to taste. One must not forget the famous ‘Garrett’ family for their manning of the small boats across the river to the various functions on the ‘Marina’ side of the Lee. The hurling/football matches would be scheduled for 3 O’Clock start and the ‘Garrett’s’ rowed hundreds across the river and back again when the match was over. The annual regatta was another busy day on the Lower Road. That was the life style in those years. All of us youngsters grew up and went into various jobs until one moved on or got married in the case of the girls. My father Dave Rea died unexpectantly in May of 1971 and that was the end of the barbers shop. I left ‘The Road’ in 1968 to do a bit of travelling in Europe and then settled in London for a few years. Will remain in my heart till the day I die. I’ll cherish their names with loving care. And from that old lane I learned that is so. And remember to keep my thoughts always sound. In that little lane so filled with joy. 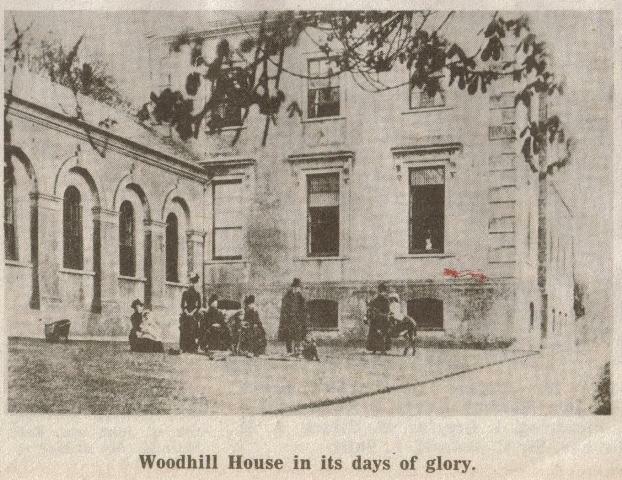 Here’s a compiled story I received from Martin Ryan about the ‘Haunted House’ (Woodhill)!